Allston Holdings LLC, a parent group of leading proprietary electronic trading firm Allston Trading, has named former CFTC Commissioner Jill E. Sommers to its Board of Managers, according to a recent Allston statement. 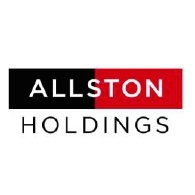 Chicago-based Allston Holdings deals with a variety of asset classes, with the whole group dealing with instruments ranging from forex to equities. In her new role, she will serve on the Board of Managers, steering the firm and helping ensure proper regulatory channels are met. 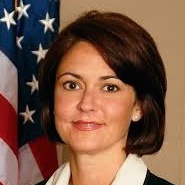 Mrs. Sommers joins Allston following a stint as Commissioner of the Commodity Futures Trading Commission (CFTC), a position she relinquished last year after a six-year tenure. Prior to the CFTC, she also worked as Policy Director and Head of Government Affairs for the International Swaps and Derivatives Association, as well as working for the Chicago Mercantile Exchange (CME). “I’m thrilled to join the Allston Board. I’ve been impressed with Raj and the team at Allston, who unquestionably want to ensure that the firm follows and leads best industry practices. I look forward to this new opportunity to understand the relevant market issues from the perspective of a leading proprietary trading participant,” added Sommers in an accompanying statement.